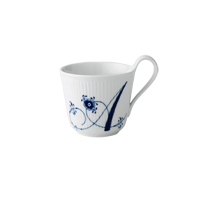 The Alphabet mugs series, classic high handle shape was first developed in 1884, but the modern hand-painted lettering was later designed by Royal Copenhagen. 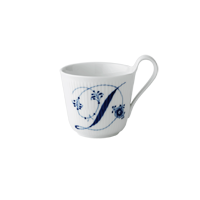 Each hand-painted letter is decorated by a flower and two palmettes. 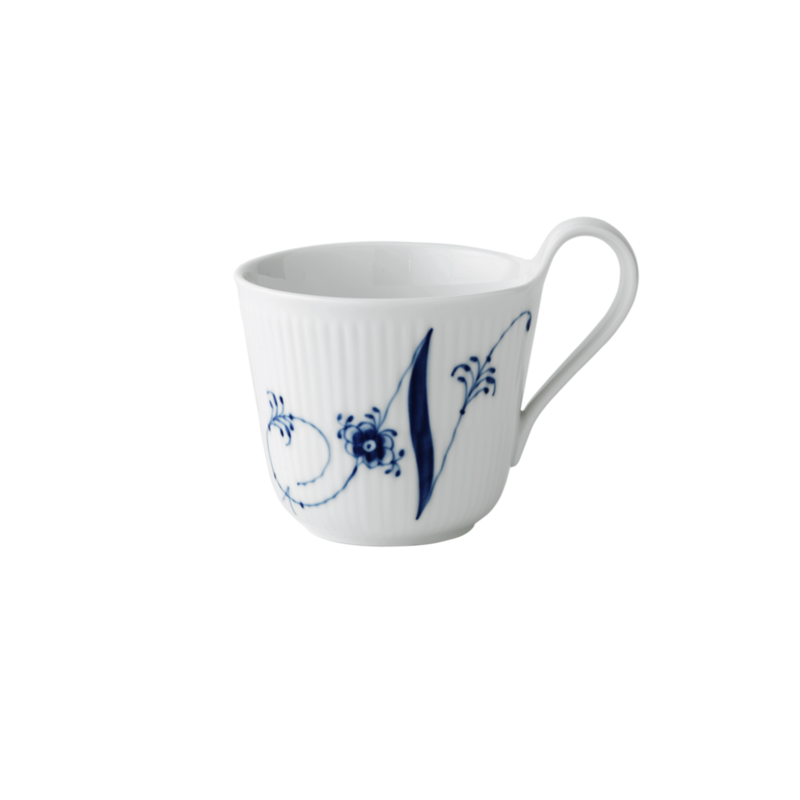 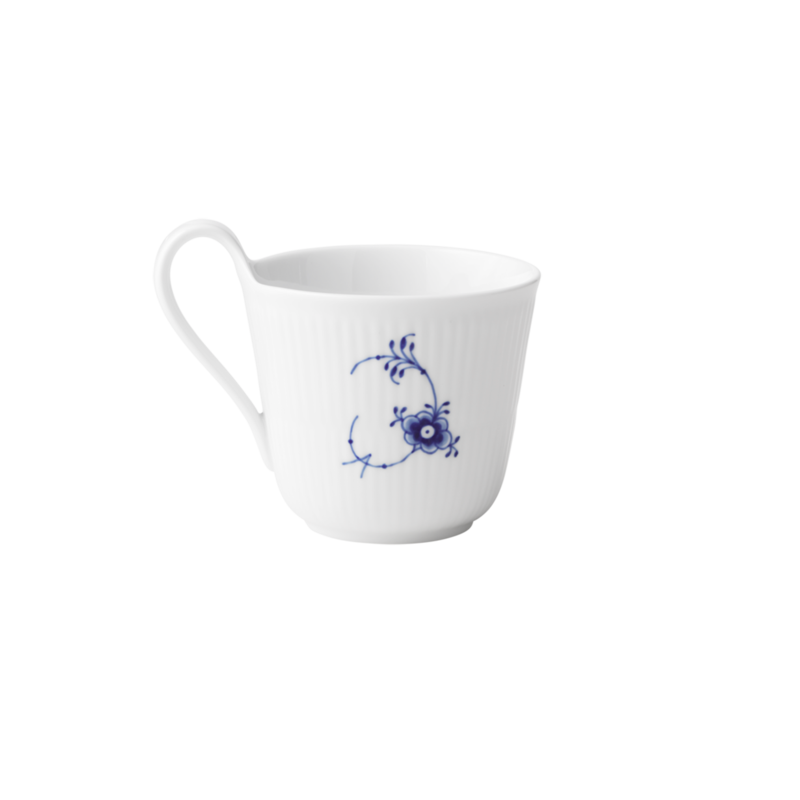 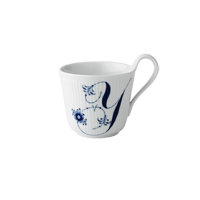 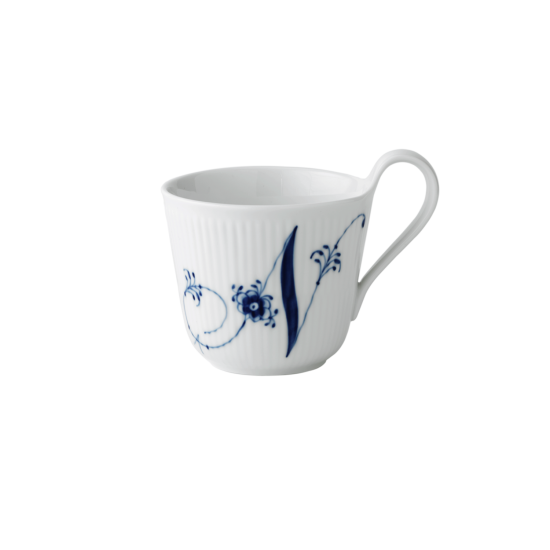 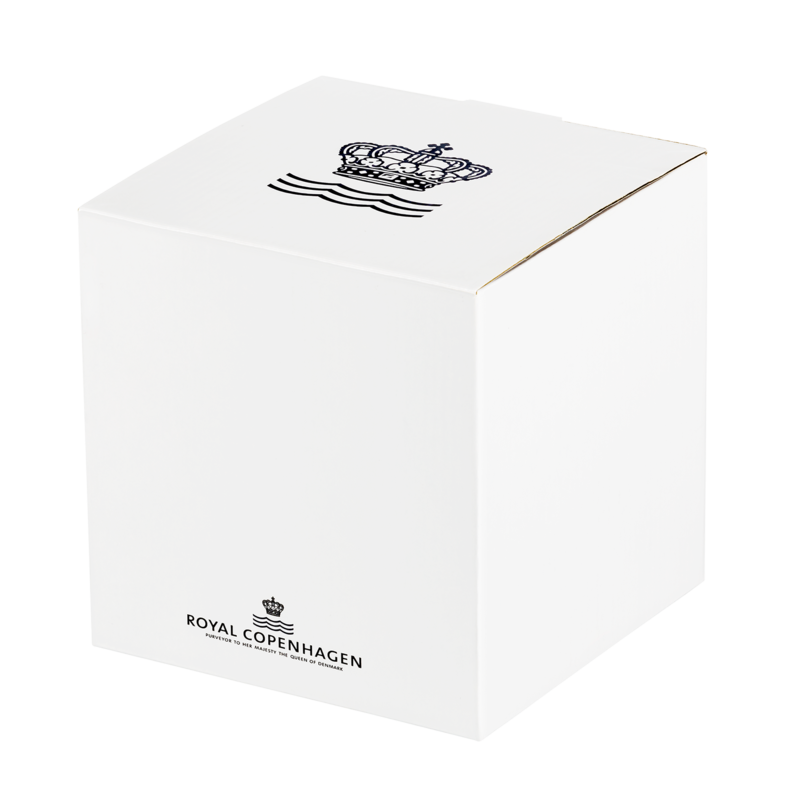 The Royal Copenhagen alphabet mugs take inspiration from the first hand painted line, Blue Fluted Plain from 1775. 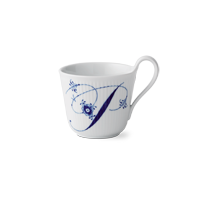 Each iconic high handle mug has a single letter painted on one side and a reference to Pattern number one on the other.